Corner, MSV Duisburg. Conceded by Denis Linsmayer. Foul by Denis Linsmayer (SV Sandhausen). Boris Tashchy (MSV Duisburg) wins a free kick in the defensive half. Stanislav Iljutcenko (MSV Duisburg) is shown the yellow card for a bad foul. 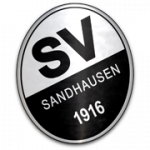 Second Half ends, SV Sandhausen 0, MSV Duisburg 0. 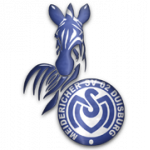 Match ends, SV Sandhausen 0, MSV Duisburg 0. Philipp Förster (SV Sandhausen) wins a free kick in the defensive half. Foul by Stanislav Iljutcenko (MSV Duisburg). Substitution, SV Sandhausen. Karim Guédé replaces Andrew Wooten. Felix Müller (SV Sandhausen) wins a free kick in the defensive half. Substitution, MSV Duisburg. Tim Albutat replaces Enis Hajri because of an injury. Delay in match Enis Hajri (MSV Duisburg) because of an injury. Rúrik Gíslason (SV Sandhausen) is shown the yellow card for a bad foul. Foul by Rúrik Gíslason (SV Sandhausen). Enis Hajri (MSV Duisburg) wins a free kick in the defensive half. Foul by Boris Tashchy (MSV Duisburg). Denis Linsmayer (SV Sandhausen) wins a free kick in the defensive half. Offside, SV Sandhausen. Markus Karl tries a through ball, but Andrew Wooten is caught offside. Substitution, SV Sandhausen. Felix Müller replaces Korbinian Vollmann. Delay in match Gerrit Nauber (MSV Duisburg) because of an injury. Attempt blocked. Jesper Verlaat (SV Sandhausen) header from the centre of the box is blocked. Assisted by Leart Paqarada with a cross. Corner, SV Sandhausen. Conceded by Dustin Bomheuer. Attempt blocked. Leart Paqarada (SV Sandhausen) left footed shot from the left side of the box is blocked. Assisted by Rúrik Gíslason. Jesper Verlaat (SV Sandhausen) wins a free kick on the left wing. Attempt blocked. Korbinian Vollmann (SV Sandhausen) right footed shot from the left side of the box is blocked. Attempt blocked. Andrew Wooten (SV Sandhausen) right footed shot from very close range is blocked. Assisted by Philipp Klingmann with a cross. Delay in match Andreas Wiegel (MSV Duisburg) because of an injury. Jesper Verlaat (SV Sandhausen) wins a free kick in the attacking half. Substitution, MSV Duisburg. Lukas Daschner replaces Moritz Stoppelkamp. Attempt missed. Kevin Behrens (SV Sandhausen) right footed shot from the centre of the box misses to the right. Andrew Wooten (SV Sandhausen) hits the bar with a left footed shot from the centre of the box. Assisted by Kevin Behrens with a headed pass. Corner, SV Sandhausen. Conceded by Daniel Mesenhöler. Attempt saved. Kevin Behrens (SV Sandhausen) right footed shot from a difficult angle on the right is saved in the bottom right corner. Assisted by Markus Karl. Rúrik Gíslason (SV Sandhausen) wins a free kick on the right wing. Foul by Enis Hajri (MSV Duisburg). Substitution, SV Sandhausen. Kevin Behrens replaces Fabian Schleusener. Attempt missed. Philipp Klingmann (SV Sandhausen) right footed shot from the right side of the box misses to the left. Assisted by Markus Karl with a through ball. Substitution, MSV Duisburg. Stanislav Iljutcenko replaces Richard Sukuta-Pasu. Korbinian Vollmann (SV Sandhausen) wins a free kick in the defensive half. Foul by Korbinian Vollmann (SV Sandhausen). Philipp Klingmann (SV Sandhausen) is shown the yellow card for a bad foul. Foul by Philipp Klingmann (SV Sandhausen). 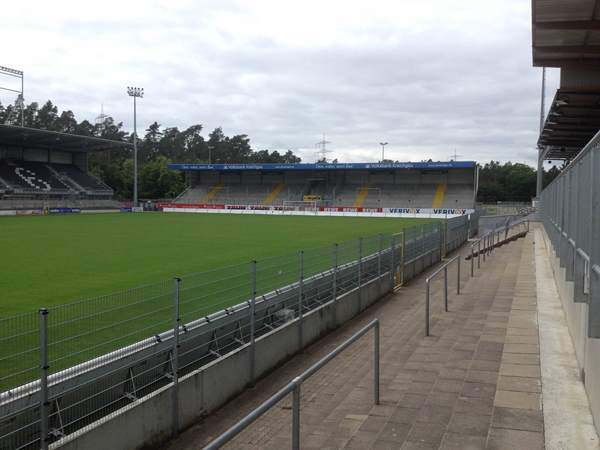 Corner, SV Sandhausen. Conceded by Fabian Schnellhardt. Attempt blocked. Leart Paqarada (SV Sandhausen) left footed shot from outside the box is blocked. Attempt saved. Moritz Stoppelkamp (MSV Duisburg) right footed shot from outside the box is saved in the bottom right corner. Assisted by Fabian Schnellhardt. Attempt saved. Denis Linsmayer (SV Sandhausen) left footed shot from outside the box is saved in the centre of the goal. Assisted by Philipp Förster. Attempt saved. Moritz Stoppelkamp (MSV Duisburg) right footed shot from outside the box is saved in the bottom right corner. Assisted by Kevin Wolze. Hand ball by Andrew Wooten (SV Sandhausen). Richard Sukuta-Pasu (MSV Duisburg) wins a free kick in the attacking half. Foul by Markus Karl (SV Sandhausen). Second Half begins SV Sandhausen 0, MSV Duisburg 0. First Half ends, SV Sandhausen 0, MSV Duisburg 0. Attempt missed. Philipp Klingmann (SV Sandhausen) right footed shot from outside the box misses to the right following a corner. Corner, SV Sandhausen. Conceded by Ahmet Engin. Attempt missed. Moritz Stoppelkamp (MSV Duisburg) header from the centre of the box is close, but misses to the left. Assisted by Kevin Wolze with a cross. Boris Tashchy (MSV Duisburg) wins a free kick on the left wing. Fabian Schleusener (SV Sandhausen) wins a free kick in the defensive half. Attempt missed. Korbinian Vollmann (SV Sandhausen) right footed shot from outside the box is high and wide to the right. Attempt blocked. Korbinian Vollmann (SV Sandhausen) right footed shot from outside the box is blocked. Korbinian Vollmann (SV Sandhausen) wins a free kick in the attacking half. Philipp Förster (SV Sandhausen) is shown the yellow card for a bad foul.